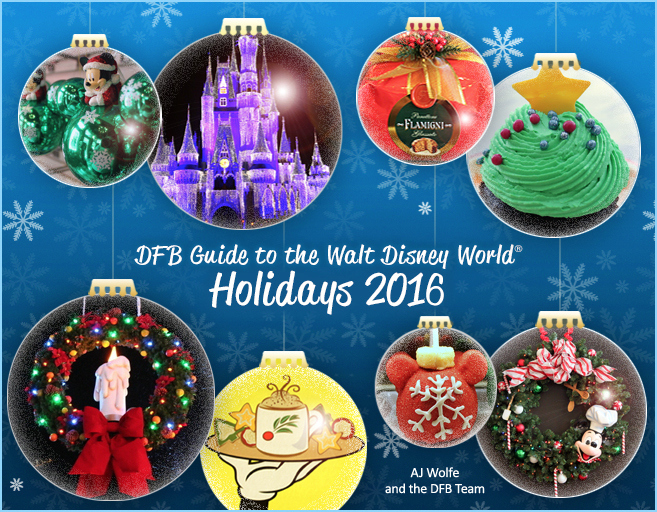 The Disney Food Blog is celebrating the grand launch of the DFB Guide to the Walt Disney World Holidays 2016 e-book! This fully-updated guide features all the information you need to plan the most magical holiday celebration at the Walt Disney World Resort. The DFB Guides are instantly downloadable e-books which means you can put the e-book on your smartphone or tablet for easy access while in the theme parks. The DFB Guide to the Walt Disney World Holidays 2016 also includes touring strategies, tips on dining without Advance Dining Reservations, themed holiday crawls, and an updated FAQ section. To celebrate the grand launch of the DFB Guide to the Walt Disney World Holidays 2016, readers can get the guide for 20 percent off the cover price of $14.95! Just use the discount CANDYCANE at checkout to get the guide for 20 percent off!